PUROL Grease – the first NSF H1 and 3H dual registered food grade grease from ROCOL – gives meat processors a highly effective tool in the pursuit of total safety assurance. 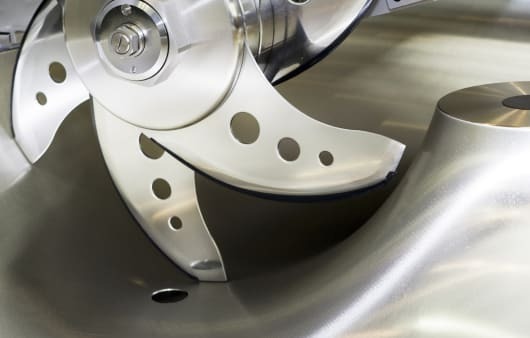 Developed in response to engineers’ feedback and increasingly strict auditor requirements from major supermarkets, the European Food Safety Inspection Service (EFSIS) and British Retail Consortium (BRC), PUROL Grease is a high performance, food grade grease which also acts as a release agent for use on meat processing machinery parts that come into direct contact with food – such as blades, guides, bearings and seals on mincer plates, mixers and slicers. The product’s unique food-safe formulation helps engineers maintain equipment to the highest standard, offering a high performance alternative to rapeseed or vegetable oils. It has a wide operating temperature range from -10°C to +110°C and is suitable for use with a gun or pump for easy and targeted application. ROCOL Segment Specialist for Food, Andy Howard, says: “Grease adheres better than oil so PUROL Grease acts as a very effective release agent to stop food sticking to machinery during the production process. NSF-H1 demonstrates PUROL Grease’s safety for incidental food contact and the 3H registration confirms it is safe to use in direct contact with meat and poultry where sticking is an issue. “This product offers all the cost saving potential and performance benefits that engineers throughout the world have come to associate with ROCOL products – extended bearing life, reduced equipment failure and downtime – and stands head and shoulders above current solutions as a pioneering product for the meat processing industry.